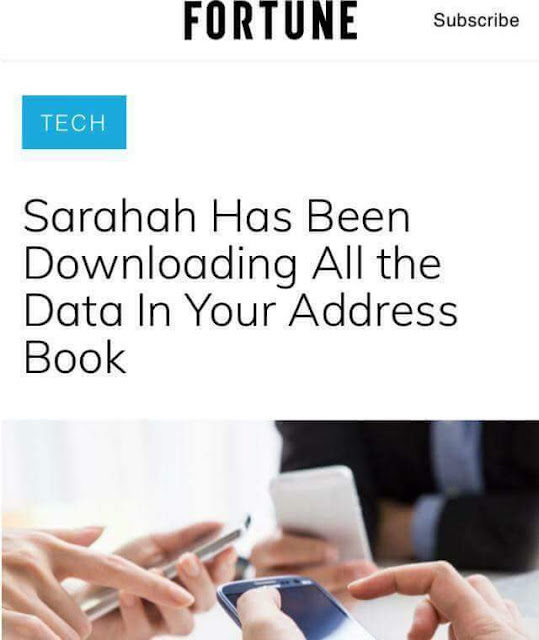 You are here: Up-daily » Technology » SARAHAH: A Hacking System? Safe or Not? SARAHAH: A Hacking System? Safe or Not? As of now, there are already 18 million users coming from both App Store and Google Store. It has also become the 3rd most downloaded application under the “Free” category in both Iphone and iPad gadgets. 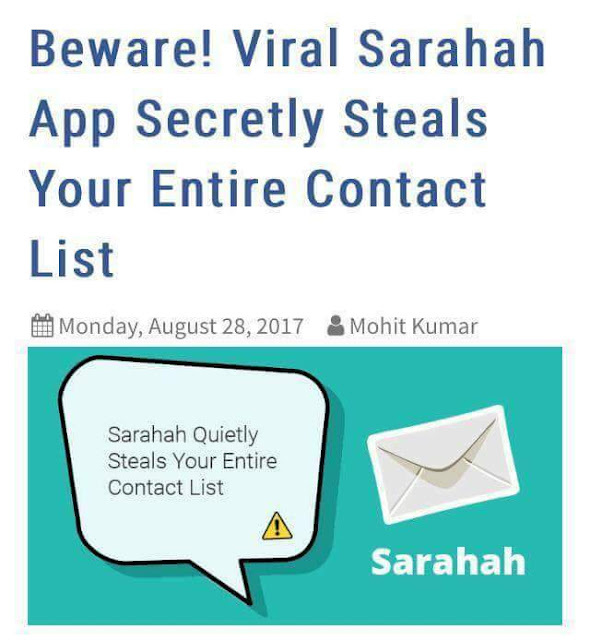 Most especially with the case of teenagers, they kept on posting diﬀerent Sarahah messages given to them for they ﬁnd it cool, interesting, and intriguing. Later this week, a news came out that this famous application Sarahah is being managed by an Arabian and Indian citizen with the primary goals of stealing personal information (name, email address, phone number, and so on) from you as you use the application. It is then labeled as a hacking application and so everyone must stop using it as much as possible so as to prevent further harm and damage. 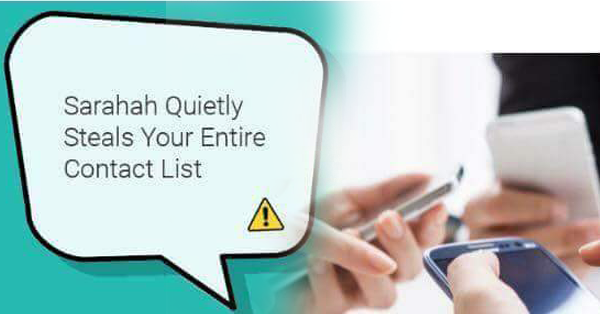 The application in fact, without your knowledge, gets and uploads your contacts’ details on their company server as what was said by an expert. The creator of the application explained that it is true that they do such thing, but not for any fraudulent reason but to develop a better feature later on. It was later on claimed that this application was banned permanently in America after the government received a lot of fraudulent report about it. If this application is really having this kind of getting unauthorized information, then it might be telling us something about its purpose and goals. In a time where the fraudulent act is rampant, online users should be more cautious in downloading and using diﬀerent application online.